Chipping and putting distance control is very much about ‘feel’ but a high level of feel can take hours and hours of practice to develop. One way you can significantly shorten the learning curve is to take a more structured approach to your chipping technique. See the video below for more details and be sure to watch the set up video and this chipping drill video – they’ll also improve your distance control and consistency. Take a lofted club (like a pitching wedge) and adopt a good chipping address position. 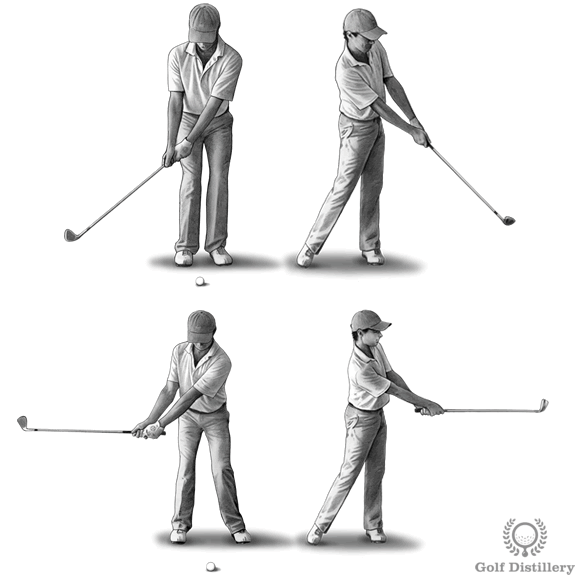 Take a short backswing so that the club head reaches about ankle height and follow through to the same distance. Chip 5-10 golf balls and pace out the average distance. 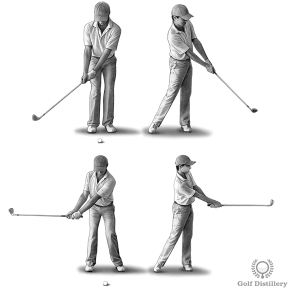 Repeat the process taking the club head back to knee height and through to knee height. Repeat the process once more, taking the club back and through to hip height. This will give you 3 chipping distances around the green. Repeat this with 2 other clubs (i.e. a lob wedge and 8 iron) to give yourself 9 different distances. It can be worth writing these down to help you remember the club and backswing height for a chip shot on the course.